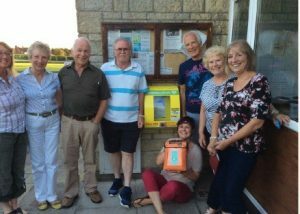 East Stour has a defibrillator, situated on the front wall of the Village Hall. It is unlocked and ready for grabbing in an emergency. It has a recorded voice that tells you how to operate it – you cannot make a mistake if you follow the very simple instructions. Kate Fisher, Assistant Community Responder Officer (Dorset), from South West Dorset Ambulance Service comes along each year to train ANY members of the village in CPR and use of the defibrillator. If anyone would like to be included in the next awareness course please contact Tony Jones on 01747 833824. Many residencies in East Stour require domestic heating oil to provide heating. As part of the Village Action Plan, a buying group was set up to provide greater buying power and discounts. More can be found out here. The “phone box” library on Browns Lane, has been running since 2016 and has proved to be a great success. Books are coming and going with a fine selection for all ages always available. Take any book to borrow and return, or return a different book to keep stock flowing. 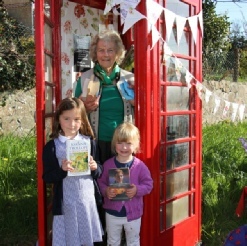 Book donations can be left in the phone box or if you need a collection please contact the Librarian – Lillian Bennett on 01747 839740. No job too small, all work considered. For all your household maintenance. Plastering, painting, decorating, landscaping, gardening, fibreglass, flat roofing. Contact Nigel on 01747 838865 or 07794 135812. The East Stour Society – for more information about TESS see The East Stour Society. Our local POPP Wayfinder is Anne Wilkins who can be contacted on 07971 338258 or via email on anne.wilkins@helpandcare.org.uk. Our community officers are Nicky Fear and Rowan Birch who can be contacted via email on gillinghamruralsnt@dorset.pnn.police.uk. For information about roads, bus travel and car park costs across Dorset visit the Dorset For You website: www.dorsetforyou.com/traveldorset. All the information above is provided to us by the local community and businesses and is kept as up-to-date as possible. To include your business information or to let us know of any changes or mistakes please contact us using the Contact page, providing the details of the change required. Error: Error validating access token: Session has expired on Wednesday, 12-Dec-18 11:57:22 PST. The current time is Friday, 19-Apr-19 03:36:59 PDT.